Students who are turning 10 this year and older are invited to express an interest in participating in this event. There are 50m events for 10 yr old (2009), 11yr old (2008), 12yr old (2007) and 13yr old (2006) girls and boys in freestyle, breaststroke, backstroke and butterfly and a 100m freestyle event in open age. Students should be currently swimming, be very competent swimmers at 50m or 100m and be able to dive in from a starting block to enter. Interested students have already received information to be able to nominate. Forms need to be returned to school by Friday 15the February for nominations to be processed. This year our Sports Day will be held on Friday 22nd March. When students start school they are assigned to a house team being Bradman, Fraser, Riley or Woodforde. On sports day classes are involved in a range of tabloid and athletic events on the school oval, courts and gym. Families and friends are encouraged to join the students on this day. Year 7 students have the opportunity to nominate for a leadership role for Sports Day House Leaders. Students who have nominated are presently preparing speeches which they will deliver to their house teams on Tuesday 19th February. Members of the Adelaide Crows Female Football Team will be holding a clinic for our Year 6/7 girls on Tuesday 26th February. A much anticipated session and opportunity for the girls. 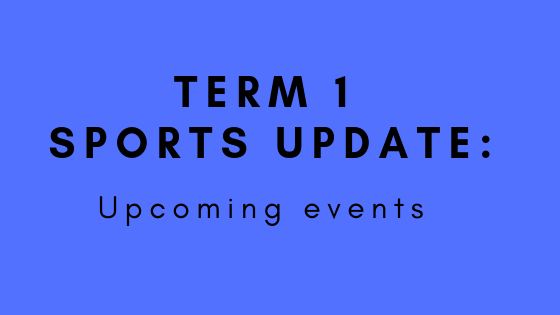 The Reception – Year 2 classes will have an AFL football clinic run by WAFC on Tuesday 9th April, to promote football programs within our local community.